Also, unrelated, Ruccio has a nice post on the anti-blog essay that has gotten so much attention the last few days. I’ll just chime in that I feel perfectly inadequate at doing anything other than questioning, but that there is real value in that, and other bloggers who do the same should keep it up. I’m aware that I often go well past the questioning stage and into providing answers, but it’s usually just thinking out loud. I’m guessing this is the same for many other bloggers too, who are seeking some sort of discourse. The more bloggers we have, the wider and more heterodox the discourse can be. Finally, I’m vacation-blogging from Germany, so I’ll have a few thoughts tomorrow based on anecdotal observations from the country. Sneak preview: the landscape, citizenry, and architecture are way more awesome than the deficit hawks at the top of their government. World Wide Opportunities on Organic Farms is a worldwide movement that facilitates the placement of volunteers on organic farms. Farmers who grow organically or use ecologically sound methods on their farms host volunteers who want to learn about these farming methods. Typically, the volunteers are not paid, but the hosts provide living accommodations, food, and technical knowledge in exchange for help on the farm. Volunteers can participate for anywhere from a few days to several years. Via Mark Thoma, tar sands oil is another example of resources that should perhaps be left in the ground- especially for wealthy countries like the US and Canada, who are far along the Kuznets curve, but also for developing countries. I’ll probably be posting more rejoinders to my review of Collier’s book in the future. This is just another reminder (along with mountain top removal, for example) that it’s not just romantic environmentalists who want to leave depletable resources in the ground. I’ve been chewing on this review for a while, but I think I need to just post the darn thing, so here goes (and as a disclaimer, I was sent a review copy of this book, although I was not directly solicited or charged to write one). As an added disclaimer, well, look at the time stamp on the post- I tried my best to weave together some disparate threads and half-thoughts…the principle of charity is my friend on this one. Several weeks ago, I wrote about the introduction to Paul Collier’s new book, Plundered Planet. The chapter touched on something that is receiving more focus in the environmental economics discussion, the notion that ethics and value judgments can enter into the debate. And, of course, they must; I know that I harp on the discount rate constantly in this space, but when dealing with complex climate models, this rate is both incredibly important and wholly non-arbitrary. How we value the future is necessarily a value judgment. Other issues like cross-national equity pale in comparison to this one, and I’m glad Collier emphasizes this point. However, as I describe below, I think his book fails to move the ball forward in our understanding of environment action in some very key ways. His entry point for talking about this critical issue is the “ethics of custody,” in which we are custodians or stewards of scarce and depletable natural resources. As a student of Catholic social tradition, which uses the language of stewardship, I really appreciate this language. It’s an all-too-rare normative statement in a discipline focused on making purportedly positive judgments. Economists, as citizens of the world, should be able to make these ethical statements, and transparently so. Rather then spend the whole book on climate change, Collier, a development economist through and through, spends the greater part of the book discussing the tensions of governance and resource stewardship in developing countries. These issues, as you might guess, are thorny. There are so many corruptible steps in which plunder, as Collier calls it, can occur, and he readily admits that it’s highly unlikely that each of them will go as they should. Instead, Collier seeks an expansion of transparency, such that resource extraction is met with accountability in at least some stages. His involvement in initiatives to foster this transparency is laudable, but he admits they may not be a cure-all. While his coverage of resource-use issues is thorough, he makes a key conceit when dealing with depletable resources. He seems to gloss over the externalities of extraction in favor of maximizing their long-term benefit stream. Granted, developing countries would be much less polluted if resources were extracted at a rate in keeping with Collier’s ethics, which would leave much more in the ground for future generations. Neverthless, it was at this point that I became frustrated with Collier’s repeated dismissal of “romantic environmentalists,” who supposedly have a disdain for economic growth. As it turns out, Collier can only temporarily set aside his economist hat, and he lets a one-sided notion of “development” carry the day. By ignoring things like the BP oil spill (or the decades-long pollution of the Niger Delta), it is he who seems romantic. Undoubtedly the extraction of resources involves the plunder of myriad other natural resources with less easily measured value. What’s problematic is that Collier’s other glossings-over likely alienate those most important to the movement- it’s the “romantics” who are most likely to step up and act, and their involvement requires a holistic ethic. Decrying plunder while encouraging extraction that maximally beneficial from an economic standpoint is philosophically and practically dissonant. Thus, it’s problematic that when Collier zooms out to issues global governance with respect to climate change, he argues that grassroots understanding of climate issues- a form of transparency, no doubt- are paramount. He eschews global frameworks, but instead hopes that citizens demand their politicians act at a national level to price carbon in an internationally consistent manner. This general mindset is apparently in keeping with his ethics of custody approach. Citizens motivated to act as custodians can and should rise up together to speak for future generations. Unfortunately, given the recent collapse of efforts in the US Senate for a relatively watered-down climate change bill, it’s hard to believe that a bottom-up movement will result in effective measures. While ever cognizant of the political economy of plunder in developing countries, Collier seems to miss the information asymmetries in the US’s political economy, in which information is distorted, corporations assert their will by way of access, and citizens are unable to really affect the process. I have no idea if Collier is aware of the effectiveness of community organizing, but I doubt he’s referring to it when he calls for a bottom-up approach. Instead, I’m guessing that he’s hopeful a movement (better and stronger this time, we promise!) will emerge, forging a citizen’s consensus on climate change. While the process may be time consuming, I think it may be time for environmental advocates to take a step back, realize that their movement building has failed, and build an organization. What is interesting is that his ethics of custody could actually serve as a unifying framework for such an organization. I’ve gone off the rails a bit here, but ultimately, Collier’s final chapter is a call to action, and I just found it a little lacking in substance. The meat of the book is incredibly instructive for folks who care about natural resources. The problem, though, is that Collier doesn’t seem aware of what action looks like on an issue as big as climate change. Transparency, as his initiative on mineral plunder shows, is certainly important, but so is power. It’s unsurprising, but still disappointing, that this economist fails to see that. While not directly related to his seeming misunderstanding of the romantics, it seems both oversights are cut from the same economist cloth. I appreciate Collier’s intent- understanding the normativity of these judgments is important, but at this stage in the game, it’s more essential that we know how to act. 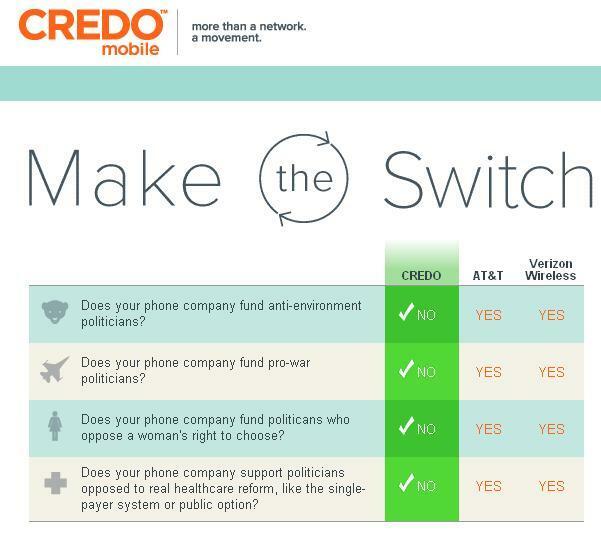 ﻿﻿From MotherJones, some bad news for those of us anti-right wing cell phone users…. Regardless of one’s political beliefs, it is an interesting way for a company give consumers the opportunity to influence the world. We’ll see if the marketing strategy works. Although honestly I would prefer that no phone company donated any money to any type of political campaign, and by saving money they could offer us cheaper plans…. Here’s the awkward truth that’s not openly discussed on either side of the Pacific: Both the United States and China are capable of producing far more than their own consumers are capable of buying. In the United States, the root of the problem is a growing share of total income going to the richest Americans. Inequality is also widening in China, but the root of the problem there is a declining share of fruits of economy growth going to average Chinese and increasing share going to capital investment. Both our societies are threatened by the disconnect between production and consumption. In China, the threat is civil unrest. In the United States, it is a prolonged jobs and earnings recession which, when combined with widening inequality, could create a political backlash. Unfortunately, political divisions tend to obscure the real class divisions here in the US. Absent some key distractions, I think the working class would prefer a society in which production implies consumption, while the capitalist class prefers a society in which production implies profit. Political bickering gets in the way of exposing this key difference, and seems to make consumption less virtuous than production. Worry not, though- consumption is happening, just not for the masses. Will China prove to be different, as citizens demand a higher level of consumption still far below what we have in the US?